Yes, Borderlands 2 is in development at Gearbox Software according to an unnamed source by EuroGamer at developer Gearbox Software. 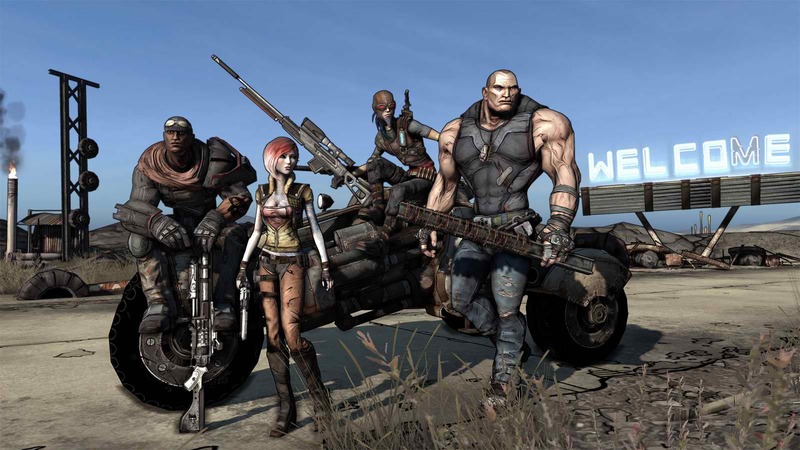 Eurogamer also reports that Borderlands publisher 2K Games will be making an announcement on the sequel soon. The source also says that Borderlands 2 will be released on the PC, PlayStation 3 and Xbox 360 next year. Borderlands 2 has been rumored for months, in fact in april this year, Borderlands 2 was spotted on a game developer’s online CV – sparking speculation that the sequel will be announced at E3 in June. Following that apparent slip, Gearbox boss Randy Pitchford said that Gearbox had every intention of revisiting the Borderlands franchise at some point in the future. “I can tell you that myself and everyone at Gearbox LOVES Borderlands and we have been absolutely thrilled at the reception it’s gotten from our customers and the fact that it’s sold over four million units now,” he said. “So you can see that we supported the game like mad with lots of great DLC and you can imagine that we’re going to want to do a lot of things with Borderlands in the future. “But we’ve only announced what we’ve announced. If we haven’t announced it, it doesn’t exist. “Plans and efforts towards the future always exist with a forward looking studio like Gearbox, of course,” he continued, “but brainstorming and blue sky research and development should never be allowed to be construed into a customer promise. No official word from 2k Games or Gearbox Software regarding the official status of Borderlands 2.